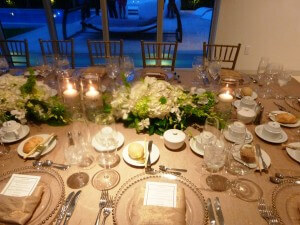 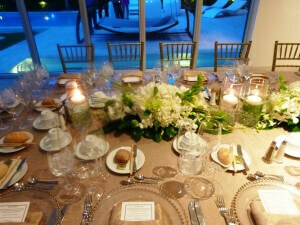 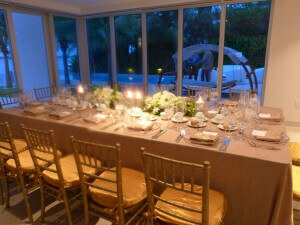 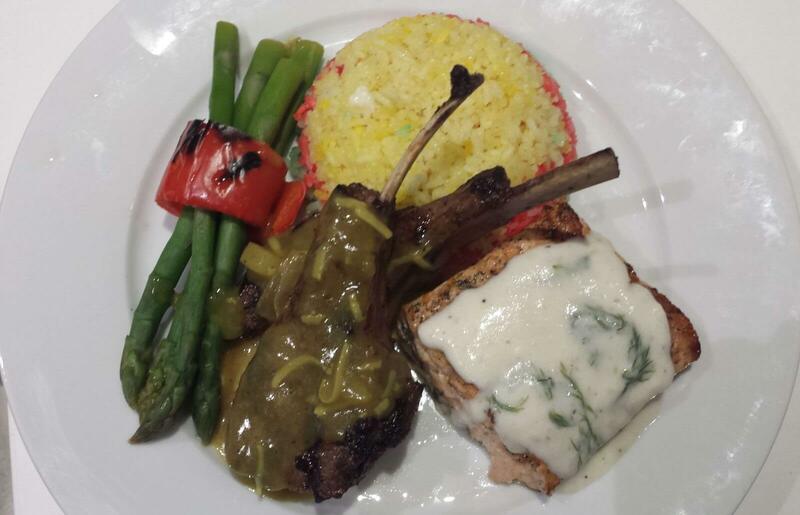 A small dinner party takes just as much time planning and executing as a large dinner reception. 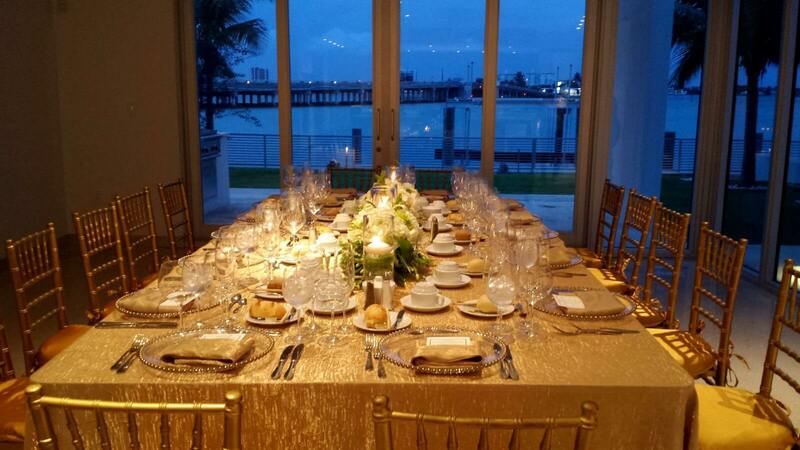 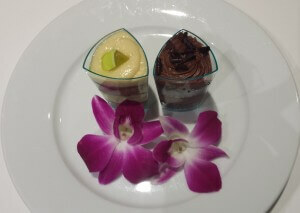 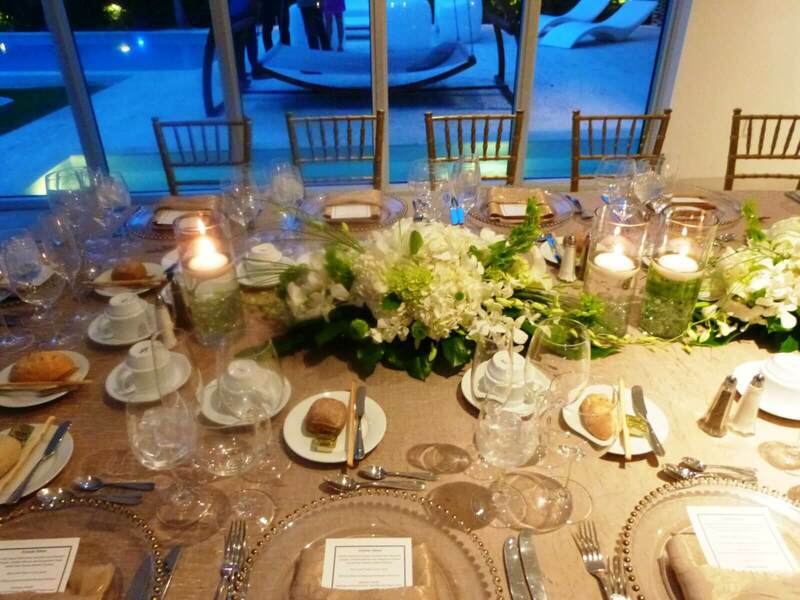 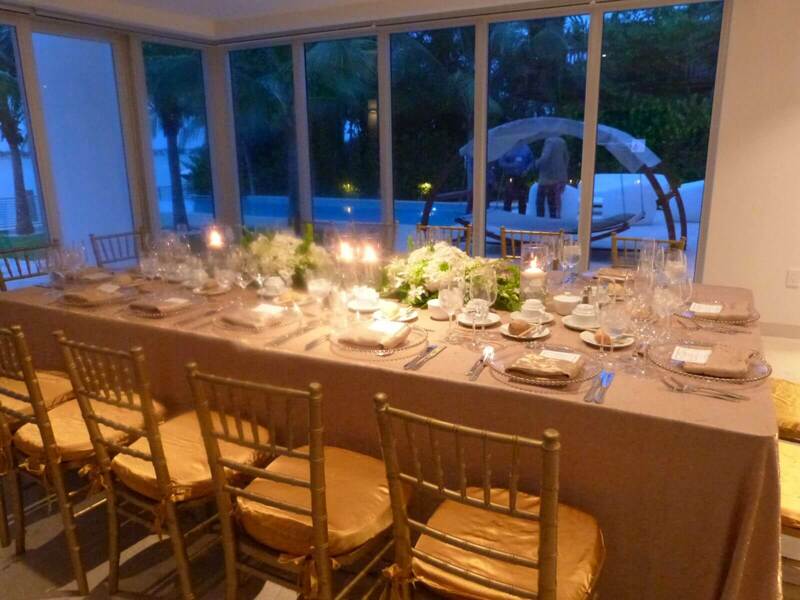 This past weekend, We’re Having A Party catered a small corporate dinner at a private home for fourteen guests. 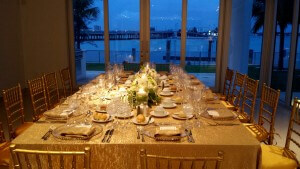 The table décor consisted of an iridescent Gold Crush Satin linen, gold beaded charger plates, ivory satin linen napkins, high-Polish silverware, wine glasses and champagne flutes, and two beautiful floral centerpieces. 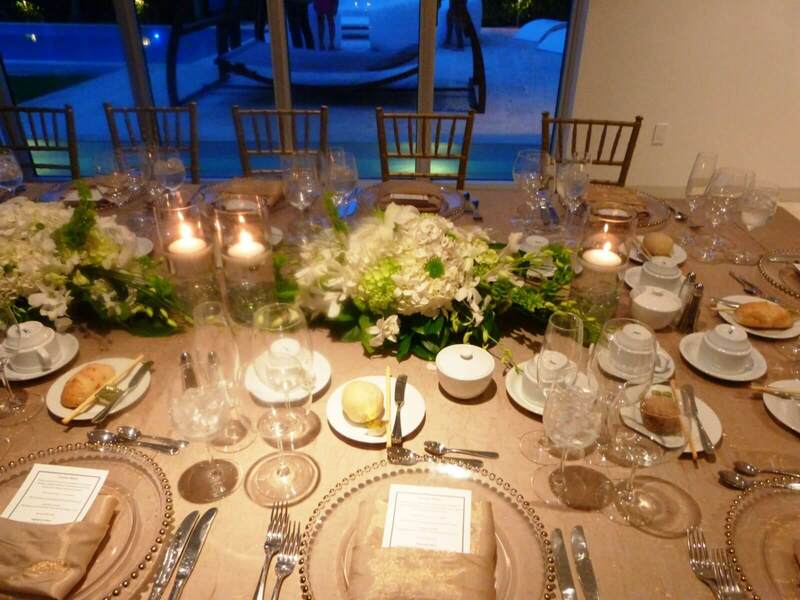 As with any event, attention to detail is a must; making sure that all the chiavarri chairs, dinner plates, glassware and utensils align.